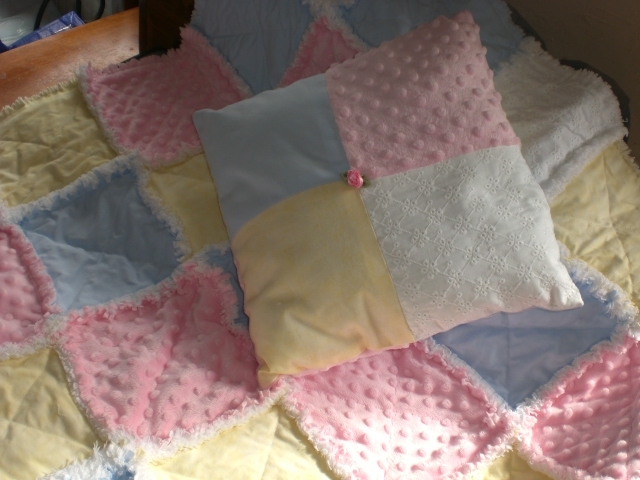 Rainbows End Originals. 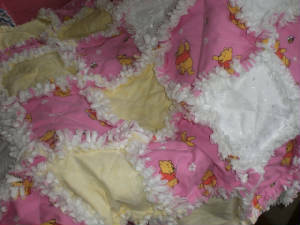 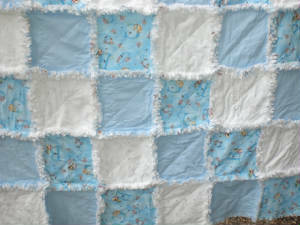 Rag Quilts for newborns and reborns. 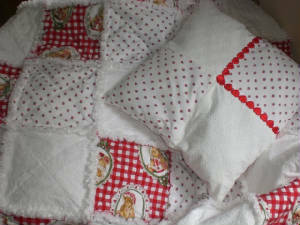 All quilts are one offs, never to be repeated and come with matching pillow. 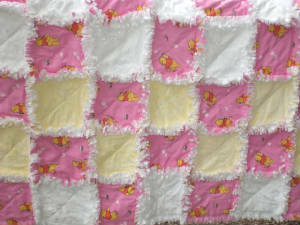 Quilts are mostly made of 100% cotton with variations if other fabric is asked for. 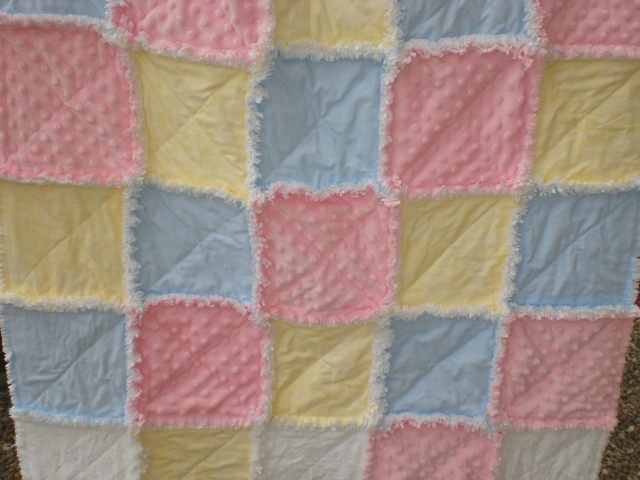 Each square is made up of 3 pieces of fabric which is quilted together, upper fabrics of personal choice, middle cotton layer and lower layer of plain, patterned or both is flanelette. 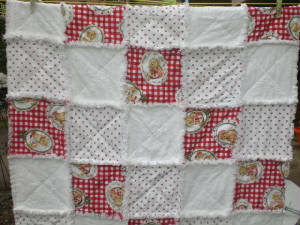 I do not use polyester wadding in my rag quilts. 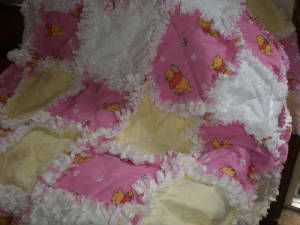 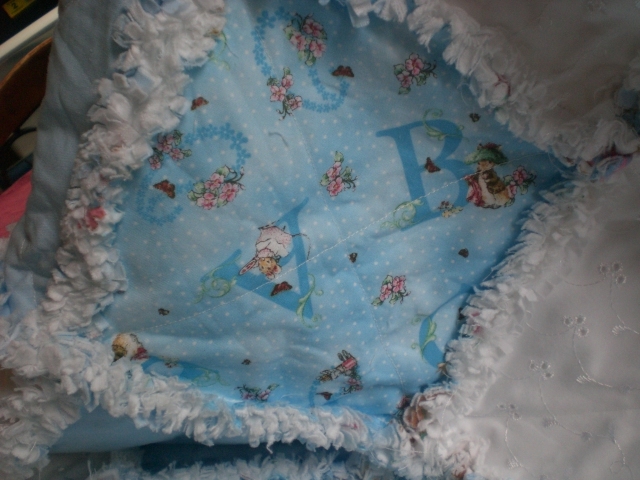 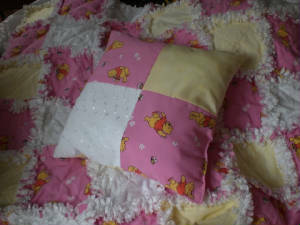 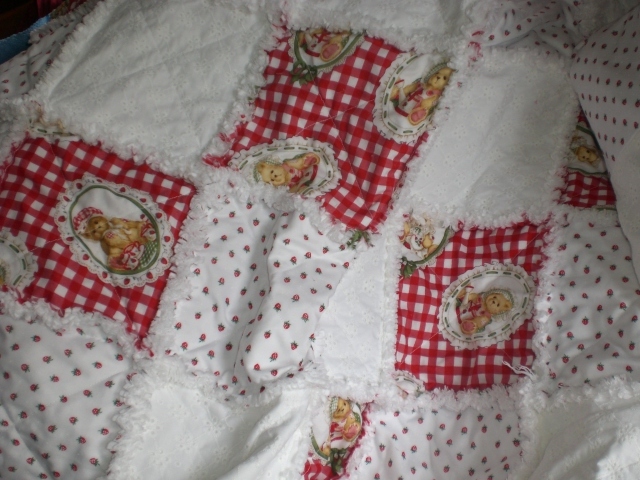 Quilts can be made in any size from Doll cot and pram size to cot or bed size. 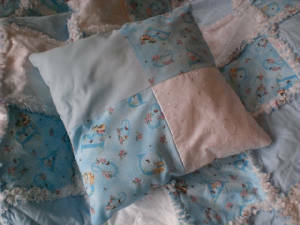 Your quilt will be washed at least twice before receiving and tumbled dried to make the edges ragged, the more it is washed and dried the softer it becomes. 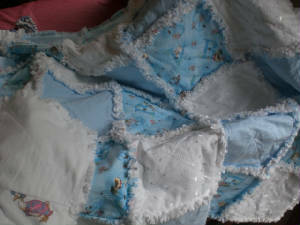 Please feel free to contact me with questions or your size required.